We at Geeks On-site specialize in Virginia apple mac repair service in Virginia VA. We also offer in home apple mac repair and in office apple mac repair services. Please call us to get a FREE PHONE CONSULTATION and ESTIMATE. For many years, Apple held the minority share of the market with its personal computers. But, thanks in large part to its innovative designs for razor-thin laptops like the MacBook Air, smartphones like the iPhone and reinvention of the tablet computer with the iPad, the popularity of Apple is growing every day. If you have an Apple computer or laptop, you have probably invested a lot of money, data and personal information into it. As a result, if something happens to your computer, you need computer repair that's fast, effective and makes your problem a number one priority. In other words, you need Geeks On-Site for your Virginia Apple Mac repair service. Why our VA Apple Mac repair service is right for you? At Geeks On-Site, we offer local computer repair to Virginia's Fairfax County, Arlington County, Alexandria City County and Falls Church City County. We work hard to make sure that our computer and laptop repair company provides the best service possible to our local communities. For this reason, Geeks On-Site is open seven days a week, from 8 a.m. to 10 p.m. Just call us for an over-the-phone consultation and estimate, and we will send one of our skilled technicians straight to your office or residence. We offer same-day, next-day and emergency service, because we know that your computer is important to you. Who we are at Geeks On-Site? Geeks On-Site is a local computer repair company that offers hardware repair and replacement, software troubleshooting, virus and spyware removal, wireless network configuration, data backup and recovery, and individual and group computer training sessions. 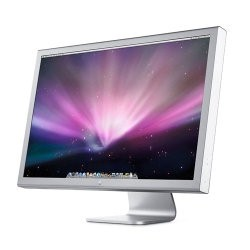 In addition to Apple products, we also service all types of PCs and Microsoft operating systems. Geeks On-site offers the absolute best Virginia apple mac repair service in Virginia VA. We also offer in office apple mac repair and in home apple mac repair services.